Previous studies in different regions of the Arctic documented these under-ice blooms, characterized by an algal community dominated by centric diatoms (Arrigo et al., 2010; Galindo et al., 2014; Mundy et al., 2014). 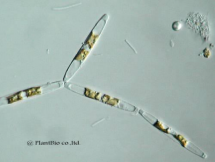 These centric diatoms species are mostly Chaetoceros sp., considered as phytoplanktonic species (Figure 1 – front picture, http://mamba.bio.uci.edu/~pjbryant/biodiv/Diatoms/Chaetoceros%20sp.htm ). 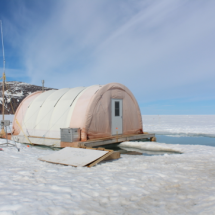 During a previous ice camp in Resolute Passage, we observed the development of under-ice blooms during two consecutive years (2010 and 2011) but the algal communities were different. 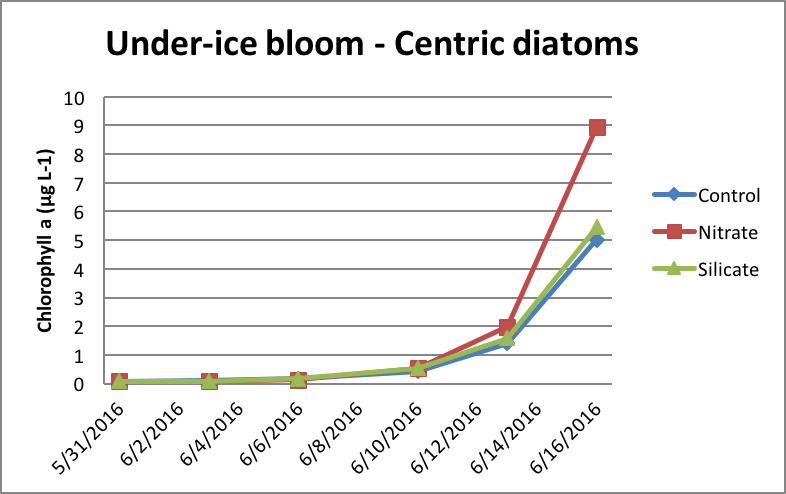 In fact, a progressive snow melt period in 2010 resulted in an under-ice bloom dominated by centric diatoms, while the under-ice bloom was dominated by pennate diatoms in 2011. 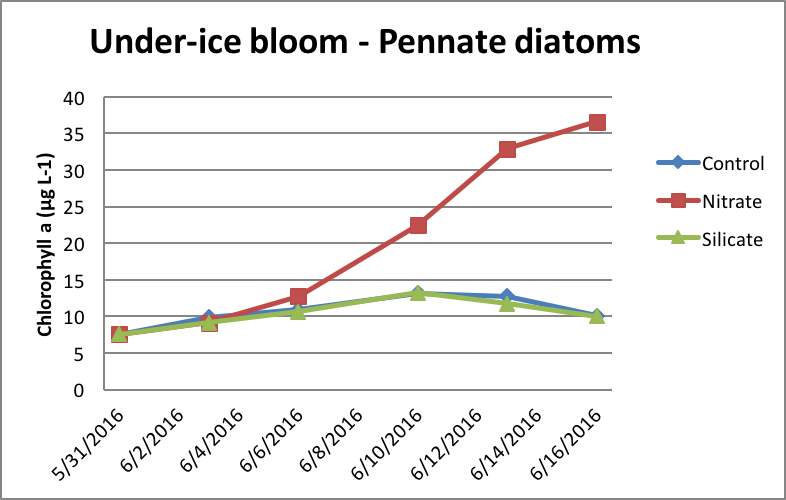 This bloom was associated with a storm which accelerated the snow melt, resulting in the complete release of ice algae in the water column. 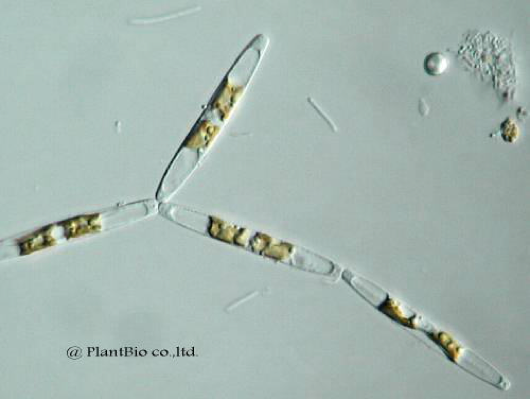 This bloom was dominated by species which are also observed in the bottom of sea ice, such as Fragilaropsis cylindrus and Nitzschia frigida (Figure 2). 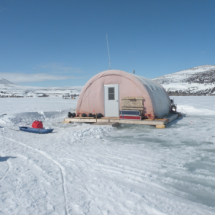 In a context of climate change, the storm events might be more frequent and could accentuate the observations of under-ice blooms with different algal communities. These communities can have different evolution of growth, photosynthetic characteristics and impact on the carbon cycle through the primary and bacterial productions. 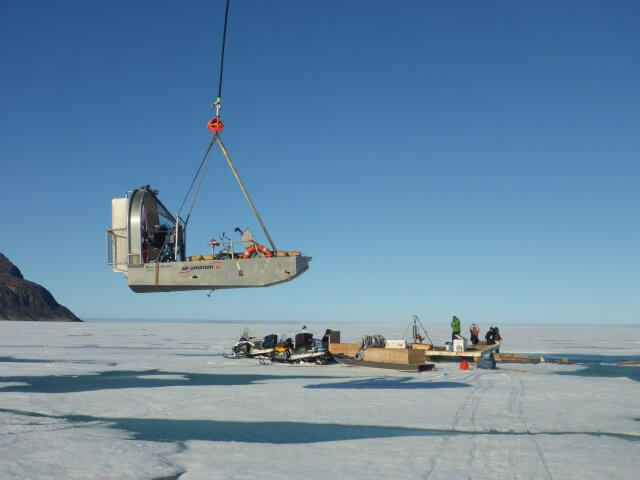 In addition, when transported in marginal ice zone and submitted to a sudden high light, the under-ice blooms could respond differently depending of the algal communities. 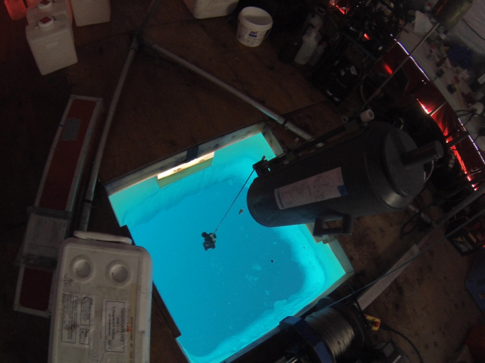 To compare the different properties of these two types of under-ice blooms during their growth and when they are submitted to a light shock, I build an in situ experiment to simulate the growth of these two under-ice blooms. 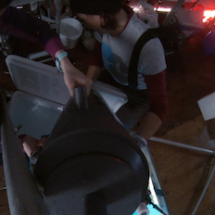 An experiment impossible without the help of other scientists! 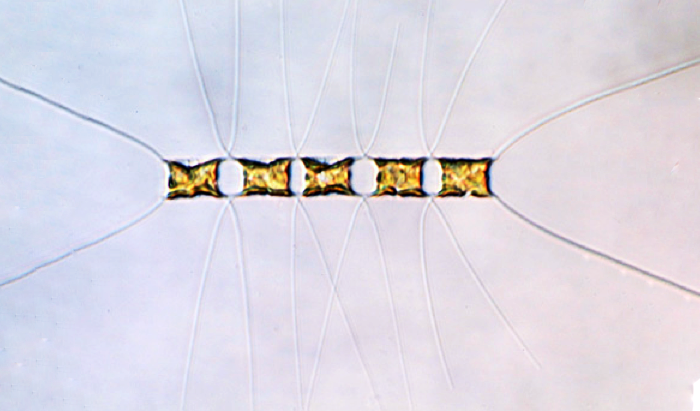 To obtain the under-ice bloom dominated by centric diatoms, six Niskin bottles of 20L collected at 5 m were pooled in a cooler (Figure 3). 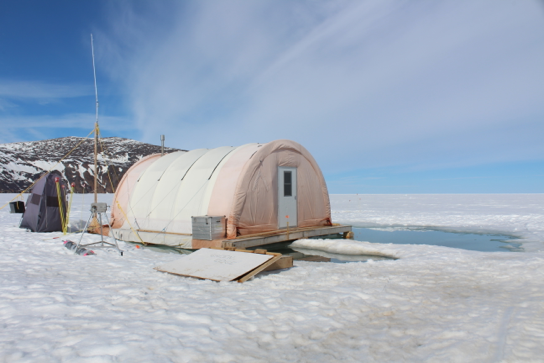 Figure 3: The tent where the water column was sampled. 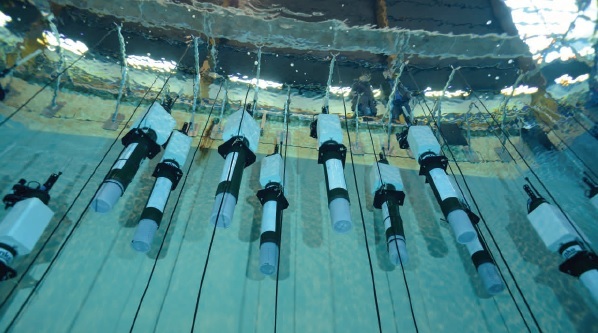 Figure 3: Launching of a 20L Niskin bottle at 5 m in the water column. 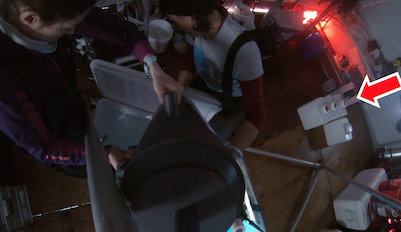 Figure 3: Filling the 90L cooler with the sampled water before the transfer into 20L bottles (red arrow). 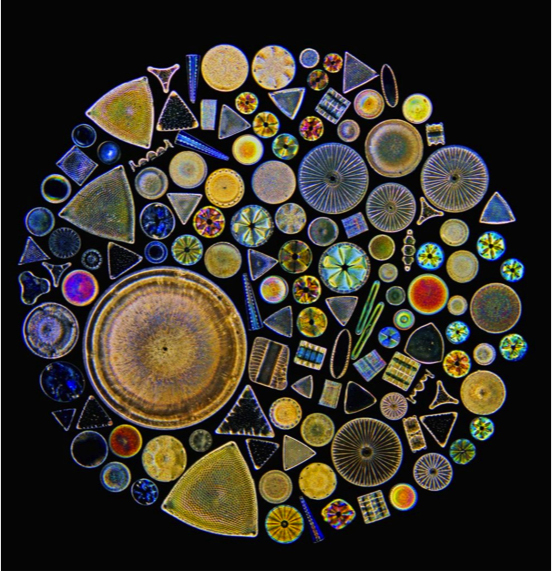 For the under-ice bloom dominated by pennate diatoms, the last centimeters of some ice cores were melted and mixed in the interface water. We also added different conditions of nutrients to observe the limitation of these two blooms. 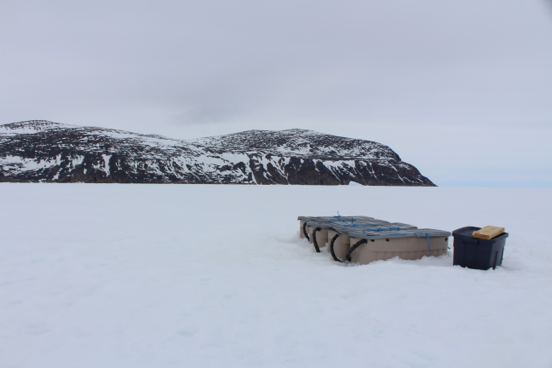 All incubation bags were placed in incubators on the ice (Figure 4), where the light was attenuated to 9%. 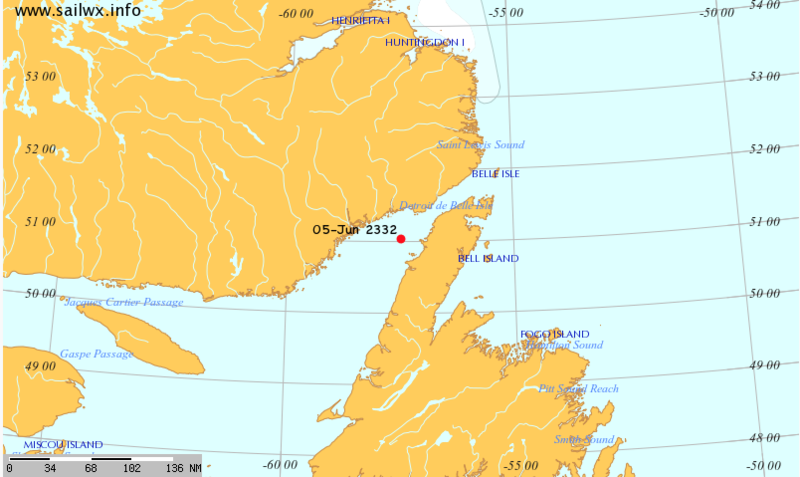 This percent of light corresponds to the one observed underneath the ice at the beginning of the under-ice bloom development. 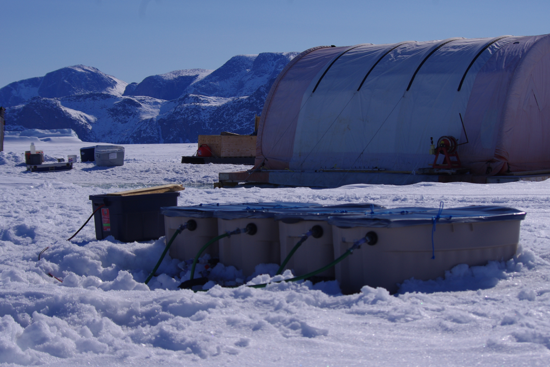 Figure 4: Picture of the incubators used for the “in situ” growing under-ice blooms. The first results of Chlorophyll a (Figure 5), used as indicator of the algal biomass, showed the increase of Chla in both experiments. So the creation of two under-ice blooms was a success! 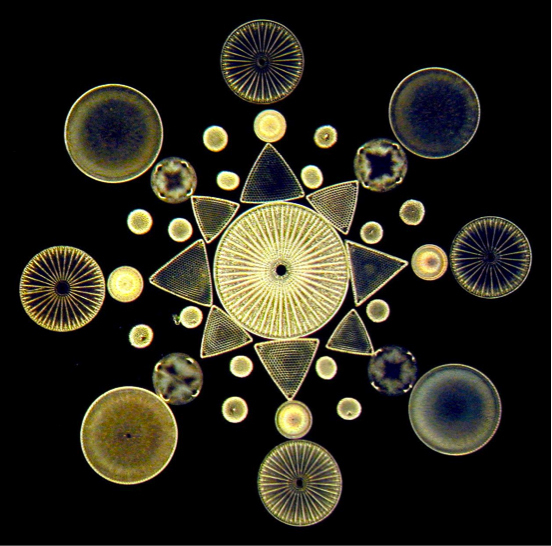 Figure 5: Evolution of the chlorophyll a in the experiments of two simulated under-ice blooms with a dominance of centric diatoms. 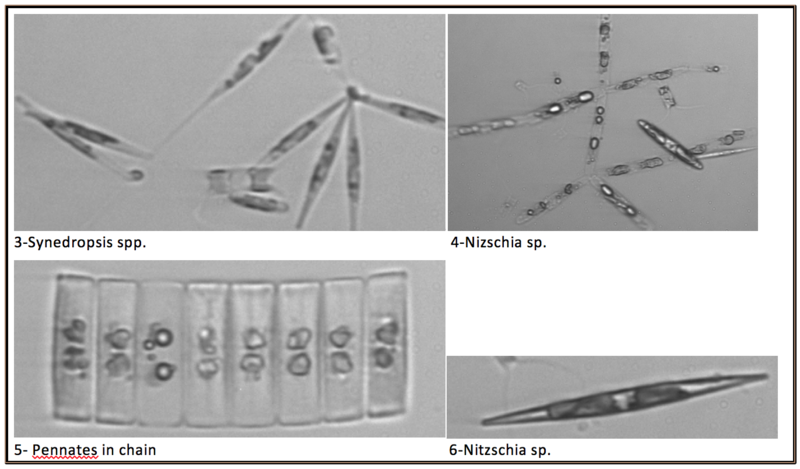 Figure 5: Evolution of the chlorophyll a in the experiments of two simulated under-ice blooms with a dominance of pennate diatoms. 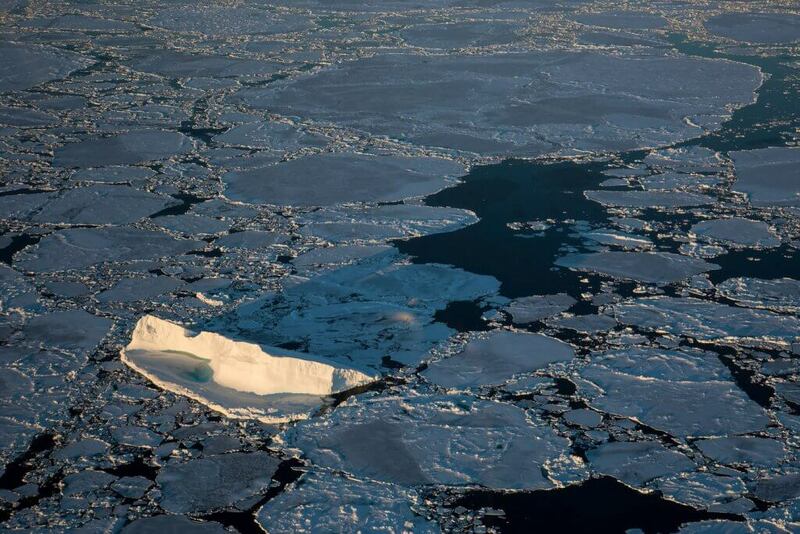 The addition of nutrients also confirms that both under-ice blooms would be limited by nitrogen, but not by silicate. 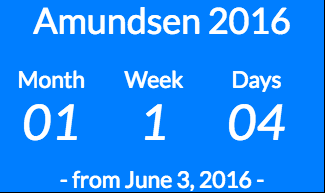 More investigations need to be done to explain the results and the delay at the beginning of the experiment. 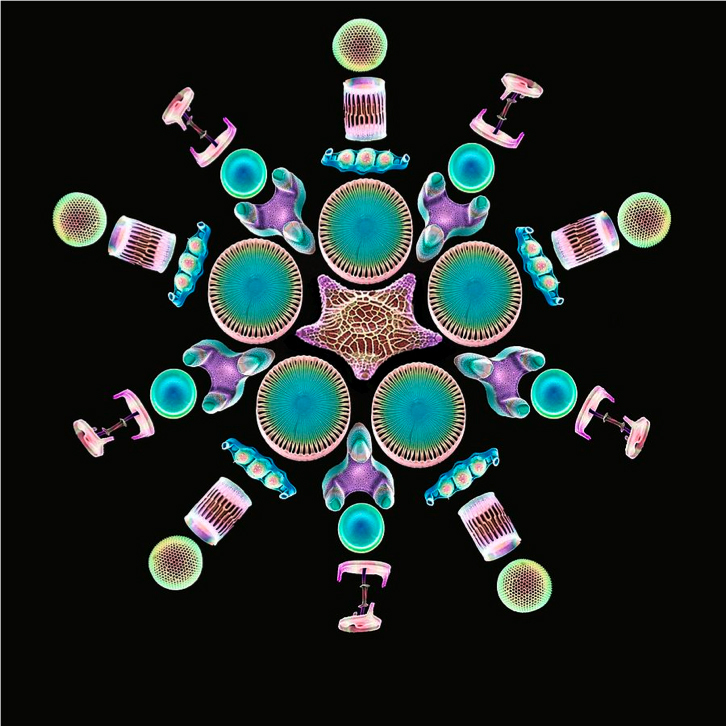 After 16 days of incubation, the presence of two different algal communities was confirmed by the observations of algal cells with a flow cytobot (Figure 6). Figure 6. 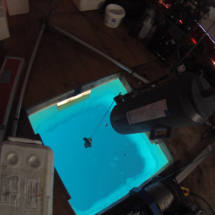 Pictures of algal cells from the experiments obtained with the flow cytobot. 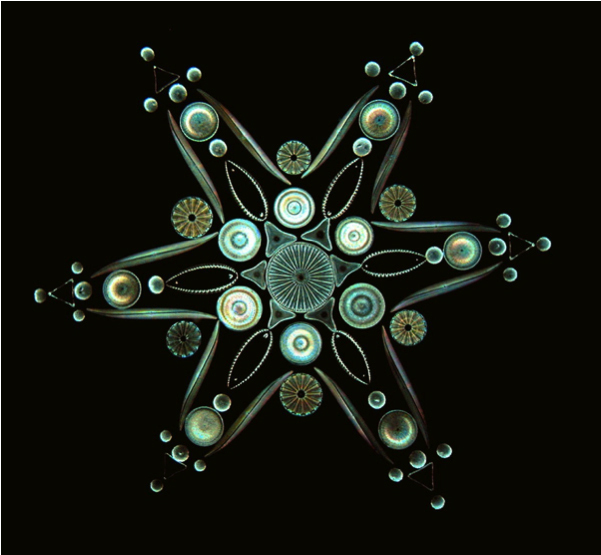 Under-ice bloom with centric diatoms. Figure 6. 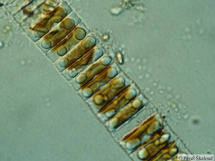 Pictures of algal cells from the experiments obtained with the flow cytobot. 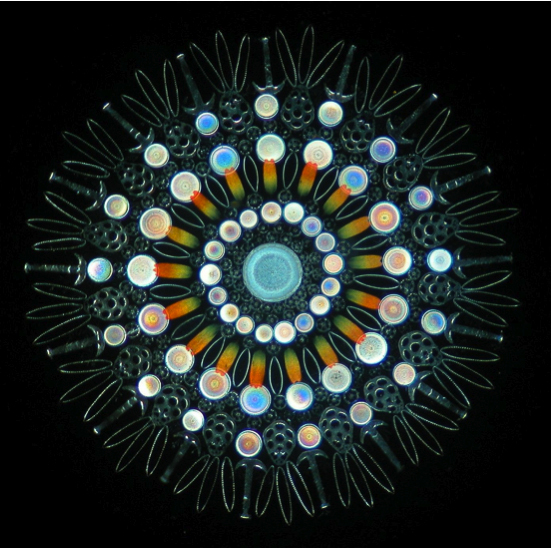 Under-ice bloom with pennate diatoms. 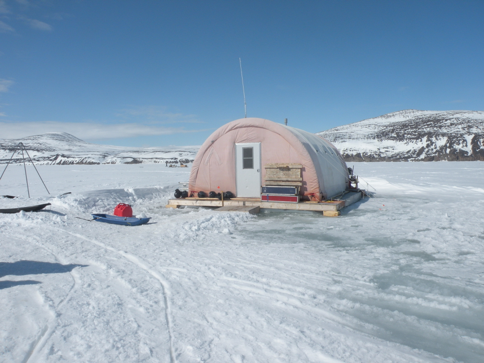 Now, let’s go South to analyse all variables and compare these two simulated under-ice blooms to determine their differences.